← Fall Fest is On! Something to do on these lovely autumn days. Fall foliage season is fast approaching. I picked up this brochure at Big Cork a few weeks ago. The offerings interested me. 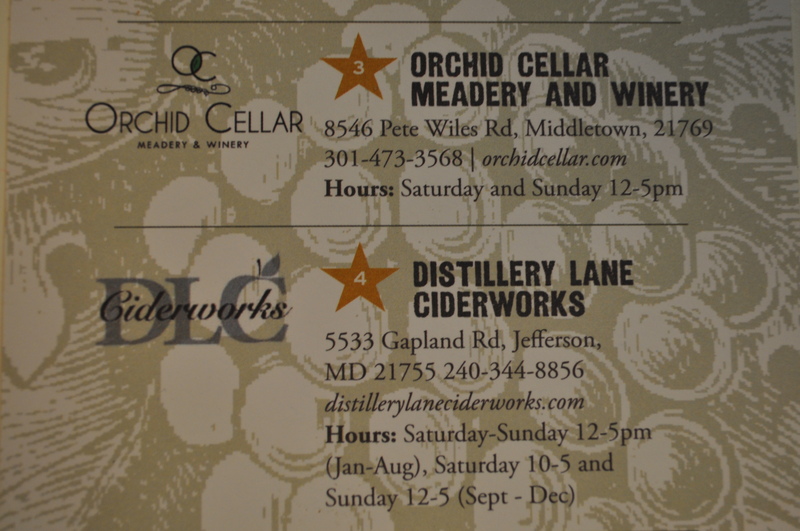 Like the Meadery and Ciderworks. Filed away to try out on a weekend soon. 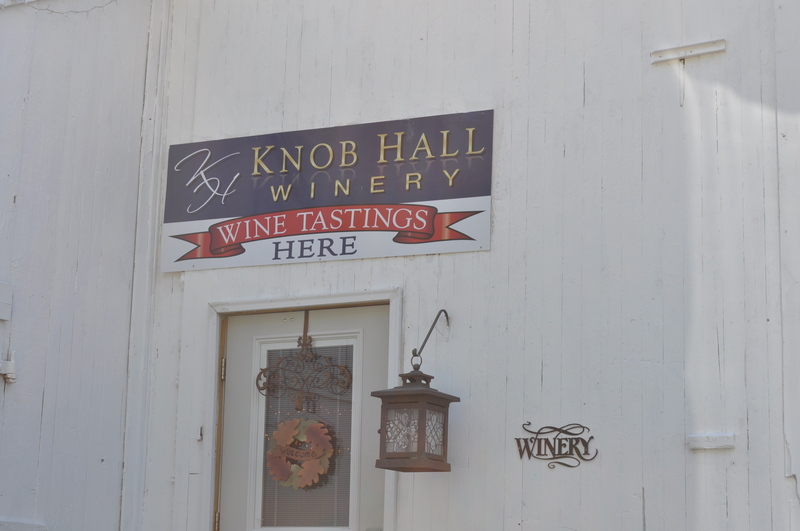 But today, the first sunny day in a long time, we ventured out to taste at Knob Hall. Just west of Hagerstown. 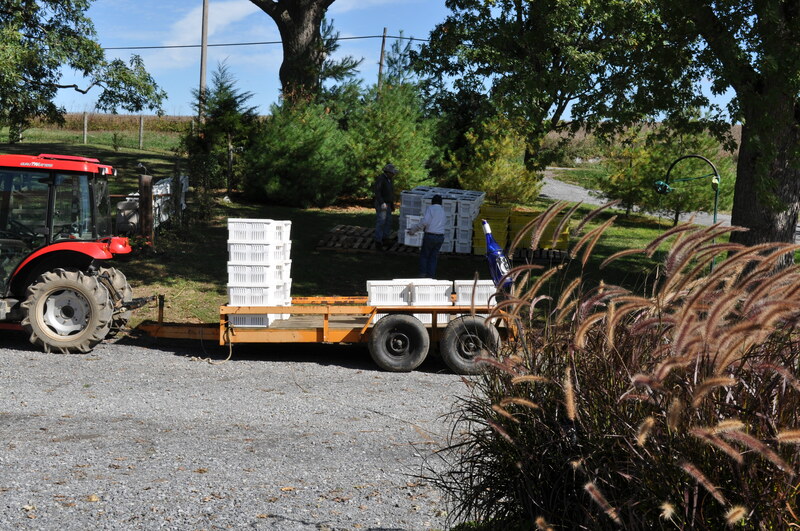 They were harvesting red grapes and sorting, when we got there. And, you know what? They make some lovely wines. Not very expensive. But, really well done. The tasting room is in a 200+ year old bank barn. They make one awesome cheese and charcuterie plate. We enjoyed their Chambourcin Reserve for a late lunch. For those who love good wine, this is a very nice place to check out. 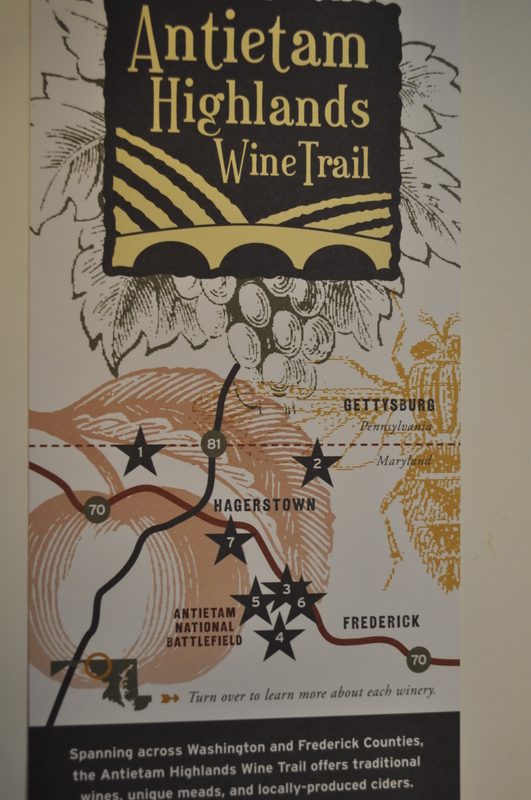 We will be heading back out there to try out the other offerings just west of Frederick. Who can resist the pull of the Appalachian mountains in the fall? Posted in Day Trips, Food, Wine and tagged day trips, Food, foodie, MD Wine, wine. Bookmark the permalink.